BlackBerry Curve from Sprint available now | BlackBerry Blast! The BlackBerry Curve 8330 from Sprint is finally available today. After many rumors and delays it's finally here. 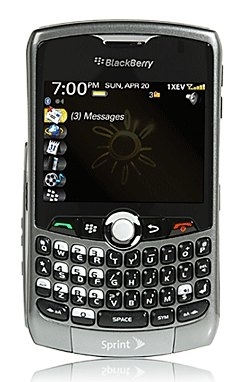 The CDMA version of RIM's BlackBerry Curve is available on the Sprint web site. If you sign a two year agreement you can get the CDMA Curve for $179. If you'd rather not sign an agreement you'll have to shell out $599 before a $100 mail-in rebate.